Spring. 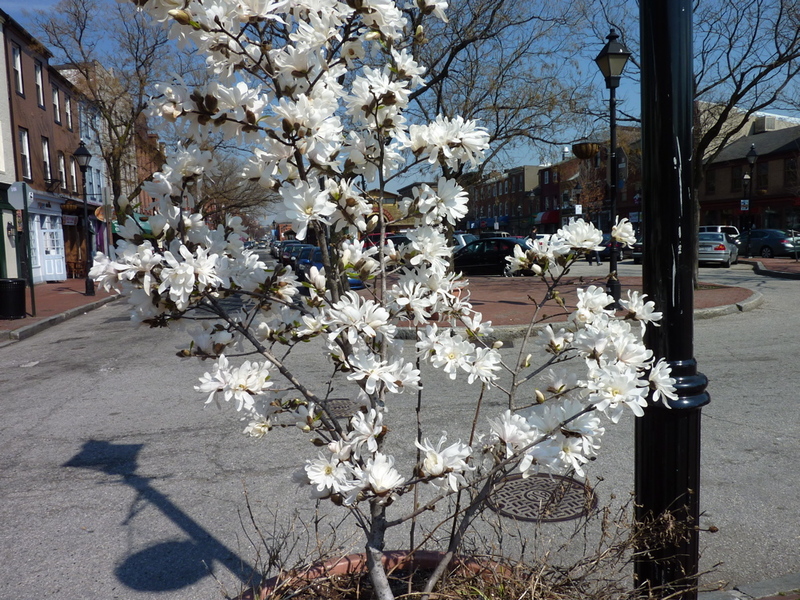 A time of newly budding flowers, their colors and scent bringing life back into our dreary, gray worlds. Scores of people taking extra long lunch breaks outside, walking their dogs, hand in hand with their lover, playing with their kids, or reading a book and lazing away on the cool grass under the sun. And there’s Daylight Savings Time thing, where we set our clocks forward one hour, and “springing forward” as it’s known. Because it’s warm outside, so many things change. It’s now better for running outside, visiting the zoo, and playing catch on the Mall. Bars and restaurants move their patio furniture back outside and the happy hours spill onto the decks and sidewalks, and start earlier in the day every week that we get closer to summer. Baseball season begins, outdoor concert season begins, and there are festivals and parades galore – all meaning it’s time to make plans with friends and fill up that calendar through September with lunches, BBQs, weekend getaways and more. 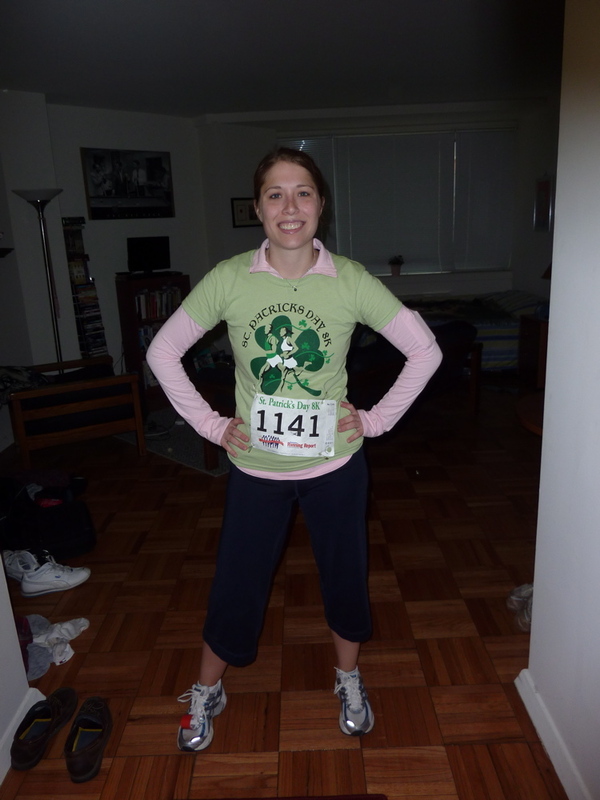 This spring, I kicked it off with my first running race ever – the St. Patrick’s Day 8k in downtown D.C. I had been planning it for months with Dan, anxiously awaiting my first foray into the racing world, after years of running several times a week on my own with no real purpose or deadline other than to stay healthy. Now that I’ve run an 8k, I’m looking into doing a 10k next, and then a half, and then ultimately, a marathon. I’m springing forward. Before the start of the race, I was nervous as hell. It wasn’t that I didn’t think I could run just under 5 miles. But I felt like everyone around me knew was a veteran and would pass me and I would be last, all because this was my first time, all because I don’t regularly run 5 miles. I regularly run 3 miles. Dan kept reminding me that there was nothing to be nervous about, no one was watching me, and that there would be plenty of people behind me. The point was that we were doing this together, and the purpose was to run the whole thing, together – and to cross the finish line, together. And we did. Our time? 50:08. Not bad, not even close to good, but I was proud to see that I “placed” about halfway in the list of women who ran the race (about 2,400 of us). I felt good that my pace was about on track with what I usually run, and that I wasn’t uncomfortable or hurting when it was done. I felt really good about. I felt like I was springing forward into something new, something that would make me feel good about myself. There was nothing to be scared about – it was just something new, and now it’s not so new. When we think about doing something we have been looking forward to for a long time, or that we knew would always happen, but are not quite sure how it will play out, that nervousness and anticipation of change can often show up as fear. And what’s harder when 20 different people are telling you their opinion and what they would do – and it’s hard to know what YOU want to do anymore. Especially when it’s people you love and that love you and want what’s best for you. Often, it’s so much easier to look at others and say, “They’re doing that wrong. I wouldn’t be doing that.” And it’s hard for us to see people we love get hurt. But what’s important is that knowing that even if you don’t take the exact route that you are advised to, that it doesn’t mean it’s wrong, and it doesn’t mean it’s right either – it’s just your route. And it may take awhile for you to know how it will end up – but life isn’t about always knowing. It’s a catch-22 most of the time- you want and should have some sort of plan, but you can’t always plan it the way you envisioned, especially when other people are involved. As March winds down (in like a lion, out like a lamb), I’m reminded to keep springing forward in my own way, despite life’s ups and downs, and despite the moments that make me nervous or fearful. Running the race was one way I did that. Another was spending another fabulous weekend with my best friend and some other new friends – because having fun is a key step in springing forward. Spring isn’t coming anymore. It’s here. And with that, it’s time to grow and bloom. Congrats on your race and good luck on the future ones!